I was born in Sandusky, Ohio USA in 1962. My earliest musical memory is hearing my dad practice his drums in our family's 8-foot wide trailer in Columbus, as I went to sleep; I'm a heavy sleeper to this day! I loved to read all sorts of books. Of course, comic books were popular choices, but I also read (and re-read over and over) math and science books; I remember checking out a book of 101 science experiments for months in a row from my school library (the librarian finally told me I had to let someone else have a chance to read it)! Both of my parents are musicians, and I took about a year of piano lessons with my mom when I was about 4 or 5 years old, after which I dabbled in piano quite a bit on my own. When I was going into 7th grade, I had my first opportunity to take Beginning Band, and knew that my dad had a trumpet in the closet, so I started then and never looked back! I heard two types of music when I was young; the big band music my dad practiced with and composed, and the Mozart sonatas my mom would play on the piano (I liked to turn pages for her). The musician that most caught my ear was the great trumpeter Doc Severinsen. He was my trumpet hero, and all the way through high school he was the one doing what I hoped to do someday! I'm so thrilled now to know him personally, even though my career went in a very different direction; his sound still inspires me, especially when I'm playing with the Boston Pops. I can't say when I actually decided that trumpet playing was going to be my career, but I never seriously considered anything else after my first year of playing. I've always gotten a lot of joy from performing for people, at first because I wanted to hear the applause, but more now because I want people to be moved by the music, which I find much more satisfying. 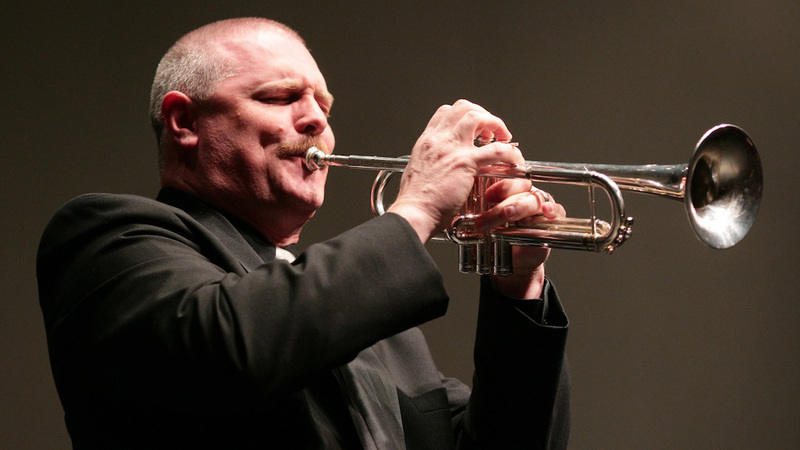 I enjoy the connection between the breath and the musical expression that brass instruments naturally have; my instrument really becomes my voice! I still enjoy math a lot, and play chess online. I'm also very active in my church, both in music and other types of ministry. Most of all, I hope Brass for Beginners students will find satisfying connections with the physical and emotional feelings of making music on their brass instruments, and the joy that others will get from hearing them play!